This is the first in a wonderful trilogy of historical novels that is still to find the audience it deserves. 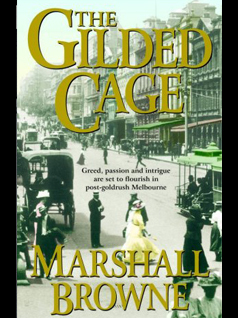 It is the story of a rich cast of characters in Melbourne in the 1880s and on to Federation, who experience the boom and then the crash, with all the excitement and tragedy of those events. Browne’s handling of the vast scope of his project is masterful. The detail is fascinating and the drama never flags. This is among the best historical fiction for the general reader Australia has seen. Marshall Browne lives in Toorak, and is a former international banker. He also writes crime novels, including The Wooden Leg of Inspector Anders and The Eye of the Abyss (both available from Duffy & Snellgrove).